Baa Baa Black Sheep Have You Any Wool? This nursery rhyme has been a favorite in our house since our first daughter was teeny tiny. We like to sing the song and read the nursery rhyme. Mother Goose has a way with words! 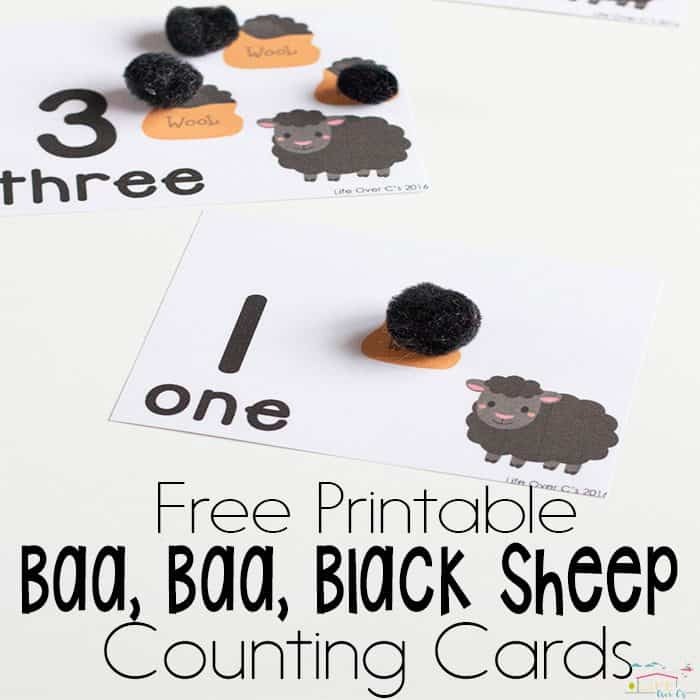 I just love these Baa, Baa, Black Sheep Counting Cards! The black sheep are so cute I just want to squeeze them. And using black pom poms as the counters is one of my favorite manipulatives because it also adds a sensory aspect to the activity. 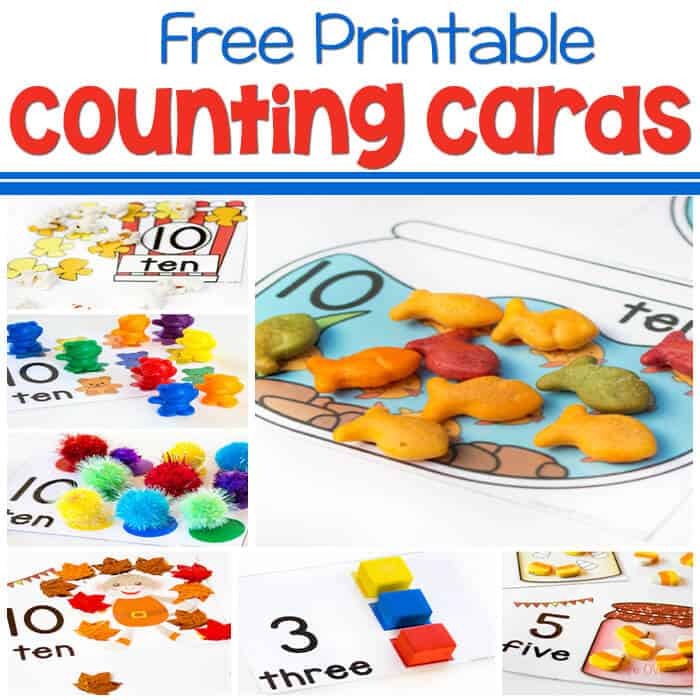 These printable counting cards are fabulous for kids of all stages of development. 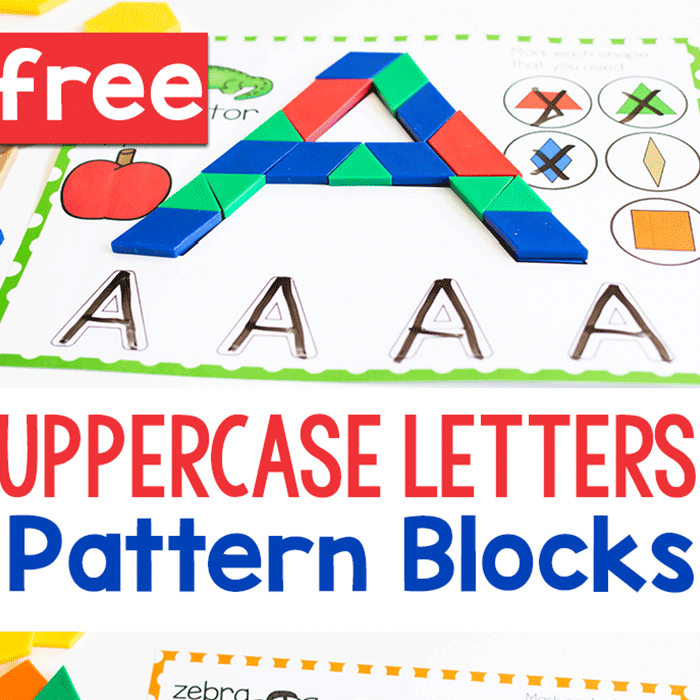 They can help children who are just learning numbers or those that are practicing counting and the sequence. Even if your children have numbers 1-10 down, it’s excellent to reiterate the sequence and counting practice. The black sheep theme makes them a fun game and children may not even know they are learning. 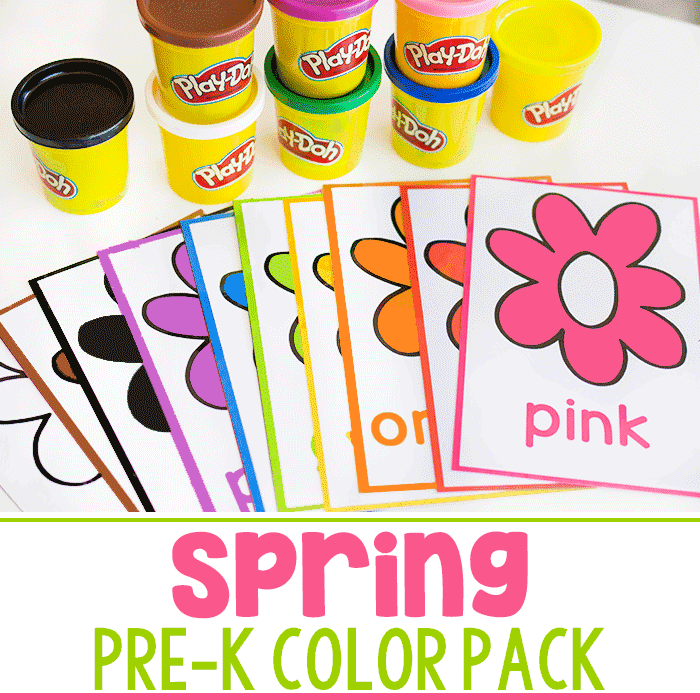 This activity is great as a busy bag or as an independent or one on one activity! 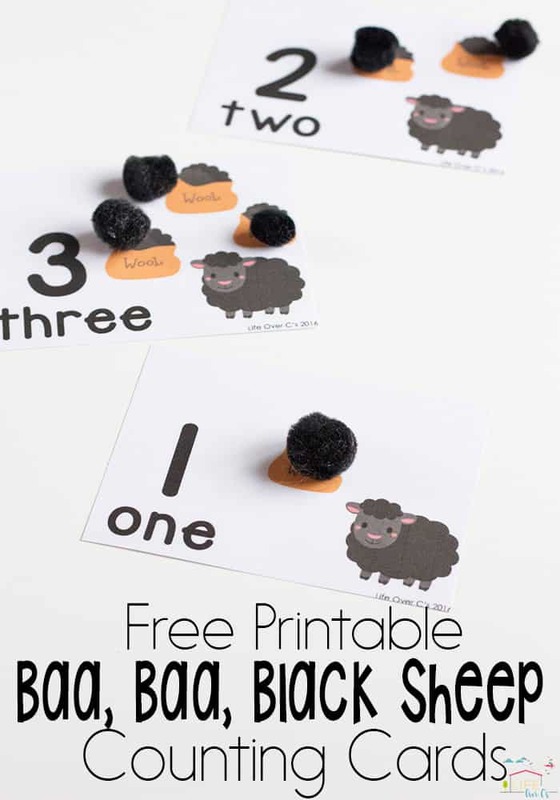 To prep: Print and laminate the Baa, Baa Black Sheep counting cards (download below). To use: Have your child cover the pictures of the bags of wool on the counting cards with the correct number of pom poms. 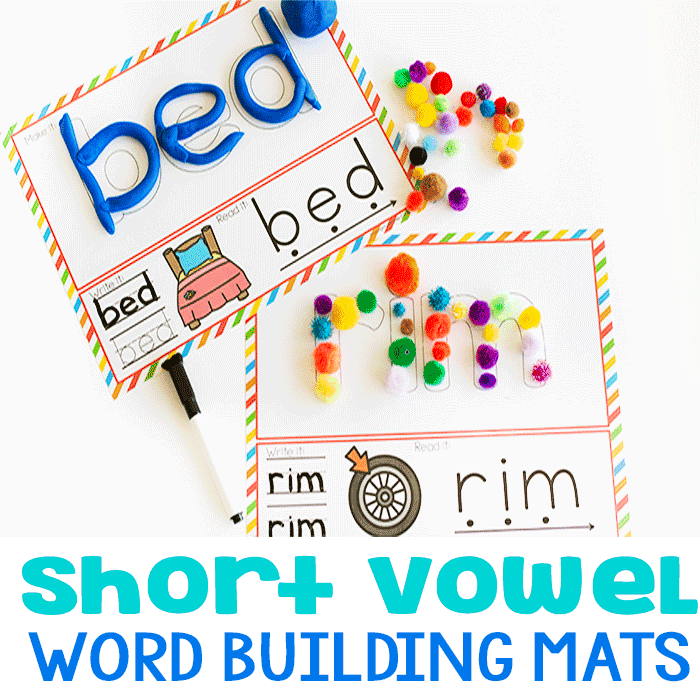 These cards are perfect for new learners who are not ready for independent counting. The kids simply cover each bag of wool picture on the card as they are counting. That way they know when to stop for each number. 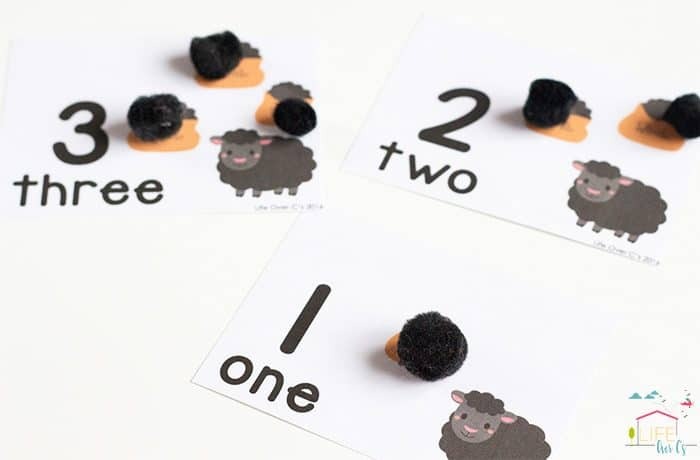 No matter the stage your child is in, these Baa, Baa, Black Sheep counting cards are great for teaching or reiterating counting. Plus, the black pom poms make counting fun with the fuzzy feeling on the kids’ fingers!